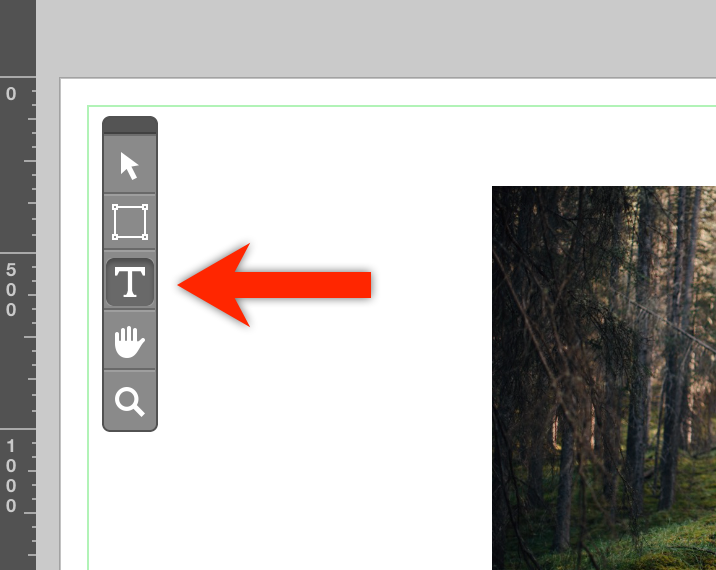 Double click on any part of your spread to bring up the Designer View. From the toolbar on the left, select the Text tool, and click on the area of the spread where you wish to add text. Type the characters you want. Double-click outside the text box. Select a different tool in the toolbar. Note: SmartAlbums currently supports only one line of text. Adding multiple lines of text is something that we'll be adding in a future update. In the meantime, if you would like to add multiple lines of text (paragraph-style), we would suggest exporting your spread as a fully-layered PSD file and make your text additions in Adobe Photoshop.